Many people who purchase the Sea Eagle 370 do so specifically for its ease of use and portability. Pack this boat up in its own tote bag and bring it along for the weekend. The deflated yak weighs 32 pounds and can be assembled and inflated in about eight minutes. This Sea Eagle inflatable kayak is an excellent choice for travel in an RV or any vehicle where space is at a premium. When the yak is packed in its carrying bag, the kit can fit into the trunk of a small car. One person can carry, assemble and inflate this boat, and the SE370 is suitable for all types of water. Limited time offer: Enjoy an incredible deal on Sea Eagle 370 – on sale at Amazon.com today! When inflated, the Sea Eagle 370 measures 12 and 1/2 ft. and can hold up to 650 pounds. The sides of the boat inflate independently of the bottom, and the I-beam floor provides extra strength and stability. The large 10 feet 8 inch cockpit interior provides plenty of legroom for two and you can bring the dog, too! Don’t forget the doggie life jacket for Fido. The SE370 is a longer and larger version of the Sea Eagle 330. 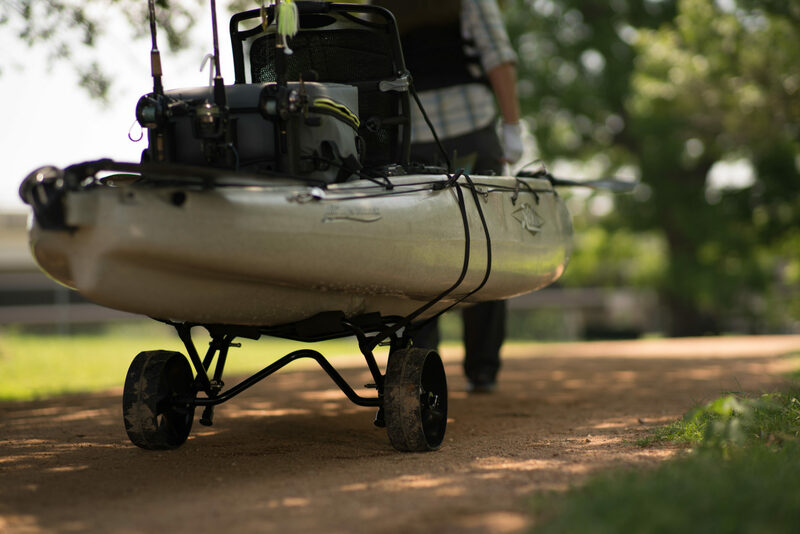 The SE370 hull is constructed of thick, rugged 38mm Polykrylar to ensure that rough, rocky river bottoms do not puncture the boat and cut your day on the water short. The sturdy Polykrylar cockpit interior also protects against punctures from dog claws. The SE370 is equipped with two skegs to ensure amazing tracking and control, especially for an inflatable. This boat actually tracks more like a hard-shell than an inflatable. Self bailing drain valves keep the interior free of water when yakking in the rain or navigating rapids. With plenty of cargo storage, you can pack the SE370 for a week of camping and communing with nature. Two people can carry the fully inflated SE370 to the water with the front and rear tow ropes. As with the Sea Eagle 330, the 370 is available with the Deluxe or Pro package. 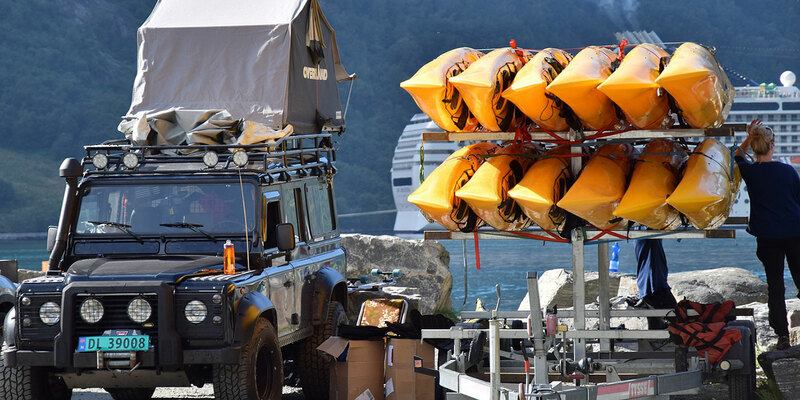 Though the Deluxe package is considered to be a starter kit, the Deluxe includes everything you need to launch the kayak within minutes after it arrives. The Deluxe package ships with two paddles, tote bag, high capacity foot pump, repair kit and stern and bow lash-down spray skirts. The Sea Eagle 370 Pro package contains everything that ships with the Deluxe package, but the Pro package also includes seats with higher backs and two extra storage bags. In addition, customers report that the oars included with the Pro package are of higher quality than those shipped with the Deluxe package. The Sea Eagle 370 is a favorite of Amazon kayak purchasers, appearing time and again on the Amazon Bestsellers lists. Several customers who submitted a Sea Eagle 370 review on the platform noted that this kayak met or exceeded their expectations in terms of quality and durability, particularly for the price. Negative feedback for this model is quite rare. Our Sea Eagle 370 review scores this boat with an overall 4.5 out of 5 stars. Sea Eagle boats are known for their quality and durability. 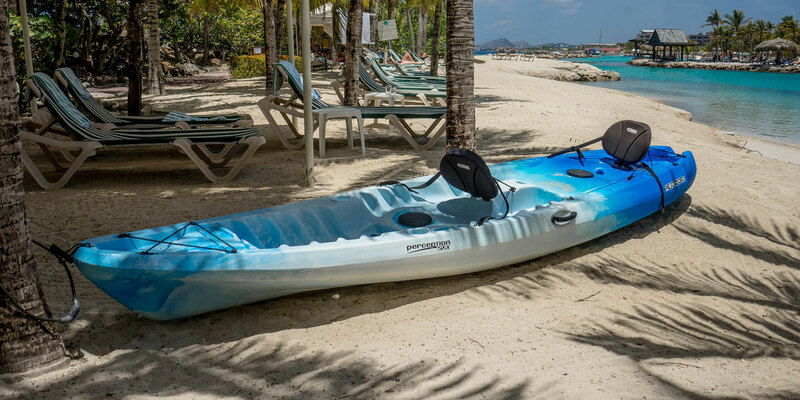 With regards to speed, you must remember that this kayak is not a hard-shelled model, so you may not be able to rip through the water like a razor, but you will be able to navigate nearly any type of water. The SE370 is certified for Class I, II and III whitewater. Regarding maneuverability, the two skegs provide exceptional tracking and turning, much better than your average inflatable yak. We highly recommend the SE370 for those seeking to purchase an economical, yet durable and functional inflatable kayak.